Tips for using a SD card with WinGPS Marine. Below you will find step-by-step instructions for connecting of your SD card in WinGPS Marine. When you choose 'No' you can always connect an SD card later with the instructions below. With some devices the list with storage device won't be visible immediately. Click on the menu icon (top left) or the menu button on your device to make this visible (Illustration 5). 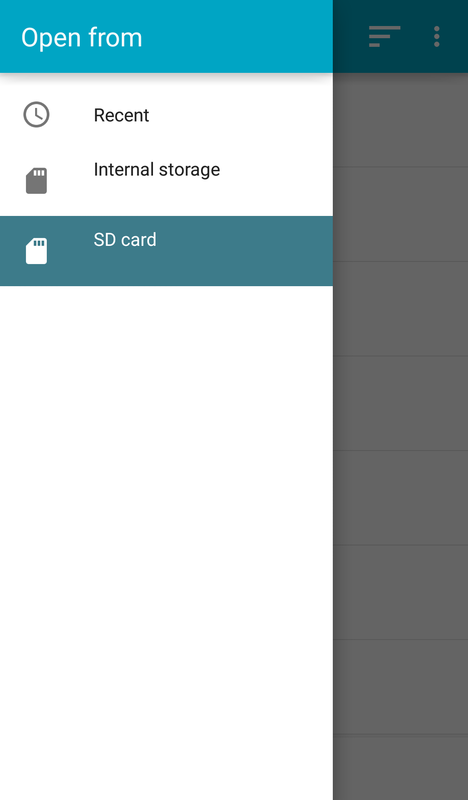 If your SD card doesn't show up in the list, click on the three dots on the top right of your screen and afterwards 'show SD card'. Click 'Select SD card' at the bottom of the screen. 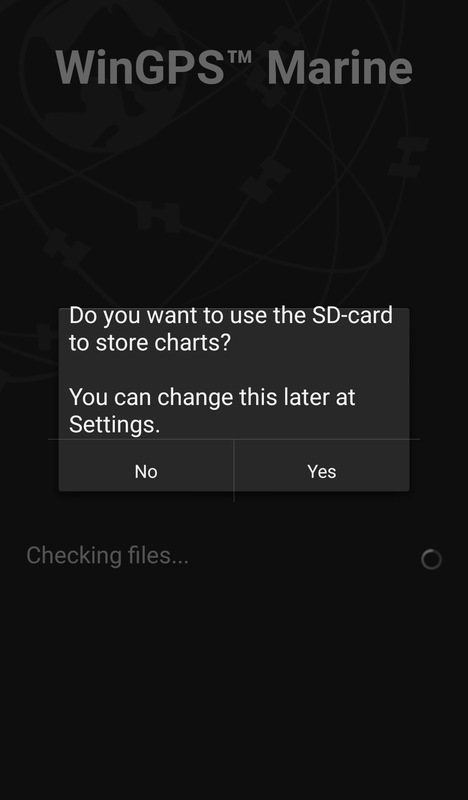 When you went through all the above steps successfully, your charts will be downloaded and installed on the SD card. 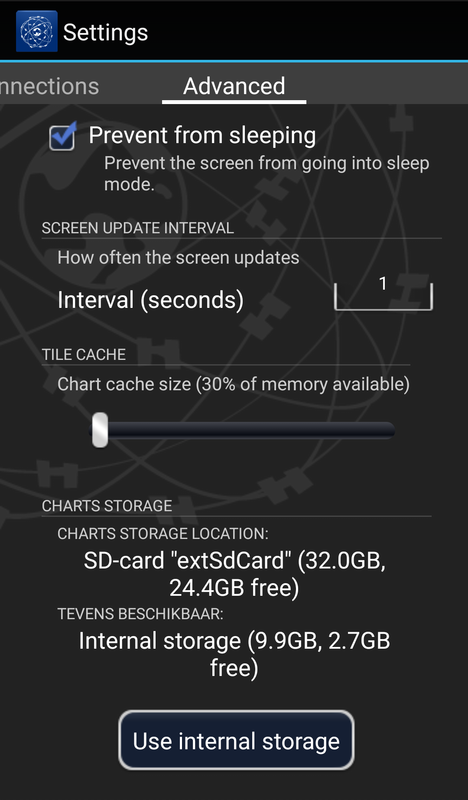 Go to 'menu - settings - advanced' (Illustration 4) and click on 'Use SD card'. When you went through all the above steps successfully, your charts will be copied to the SD card. 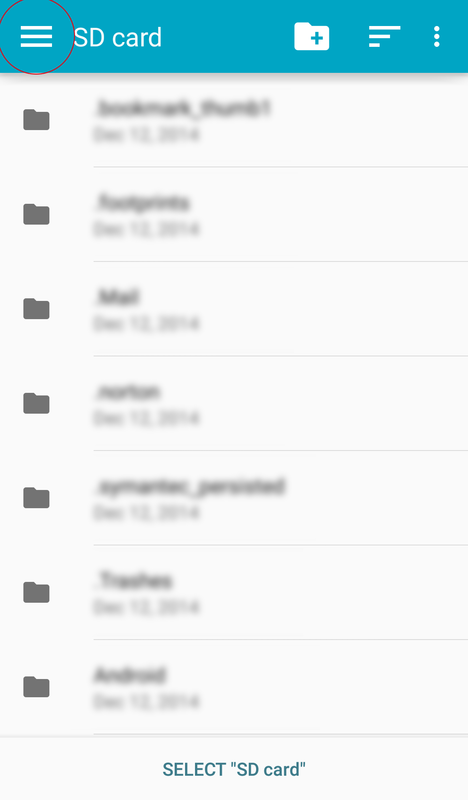 When all files are copied, all original files will still be available on the internal memory of your device. These can be removed safely by deleting the 'DKW2' from the root directory of your device. Go to 'Menu - chart manager - Download overview', click on a chart you want to download and click on 'download' at the top right of the screen. 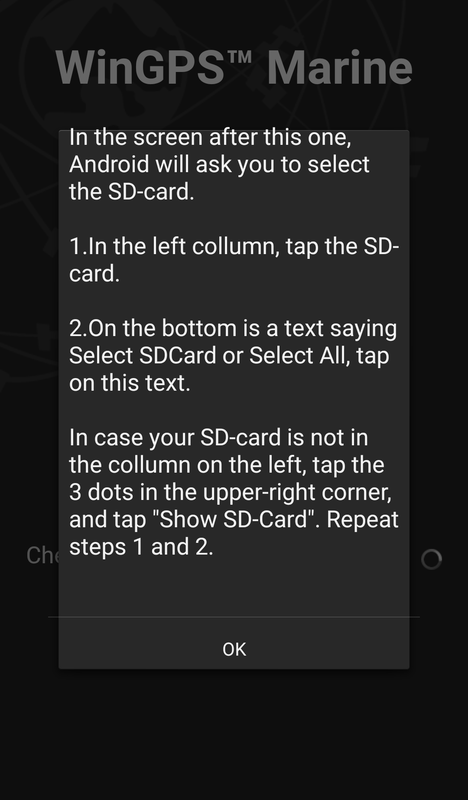 Please mind: the above steps are only meant to be used when activating a SD card in WinGPS Marine in combination with Android 4. If you are still having problems after going through the above steps please contact our helpdesk via helpdesk@stentec.com.